Canada day is tomorrow, and we know everyone will be heading out in their red and white to enjoy the day’s festivities and end the night with some amazing fireworks. 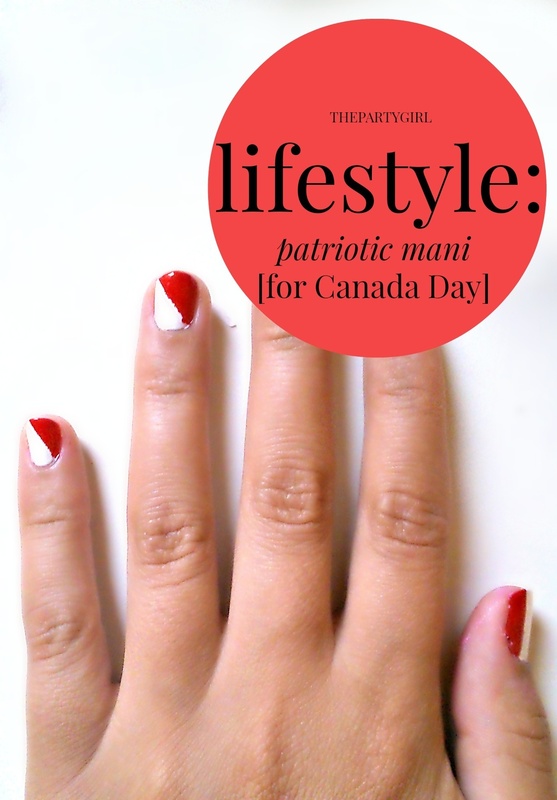 Because we want you to show your full national pride this Canada day we have created a patriotic mani!! 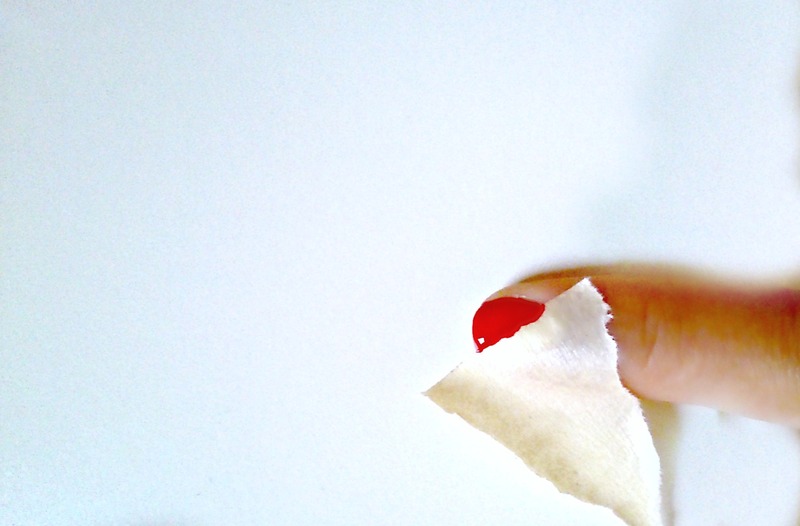 Now I was very hopeful that I would be able to make a maple leaf on my big thumb, but no matter how much I tried i just could not make it seem more like a leaf and less like a red blob. Let’s just say that leafs are not my specialty. I absolutely didn’t want to but eventually I had to give up and move on. So for those of you that feel confident in your maple leaf designs then you can replace the flag with a leaf. As always, I started by applying my base coat. I use the Sally Hansen Complete Care because I have very weak nails and find that it has really helped me strengthen them. 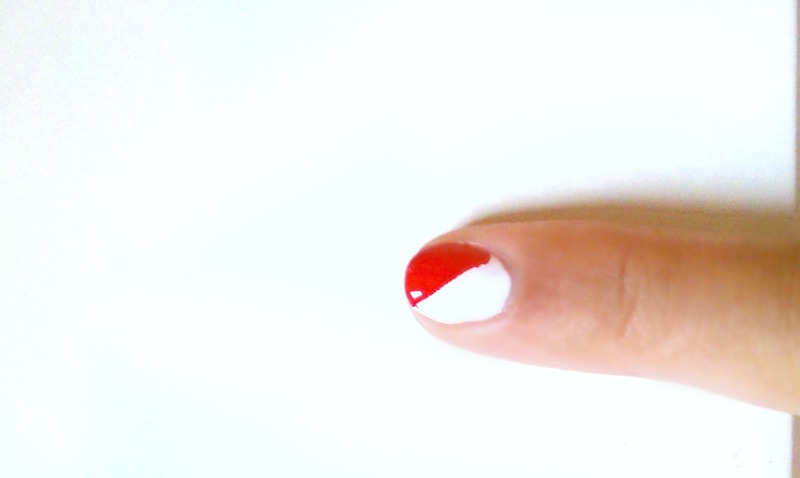 Then I applied the white base. 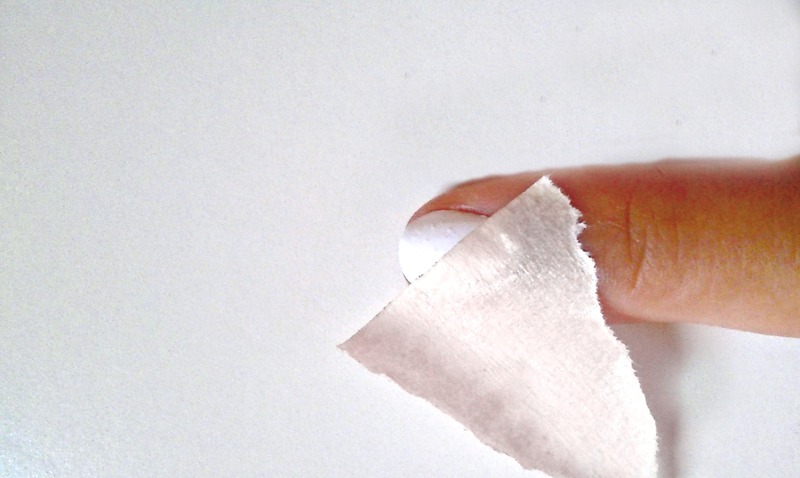 I explained this before on another mani post but make sure to be very careful when painting with white, it is not very forgiving and any little smudge will be very noticeable. Finally I did the flag, using the same technique as above but making the lines vertical along either side of my thumb, leaving the middle part white. 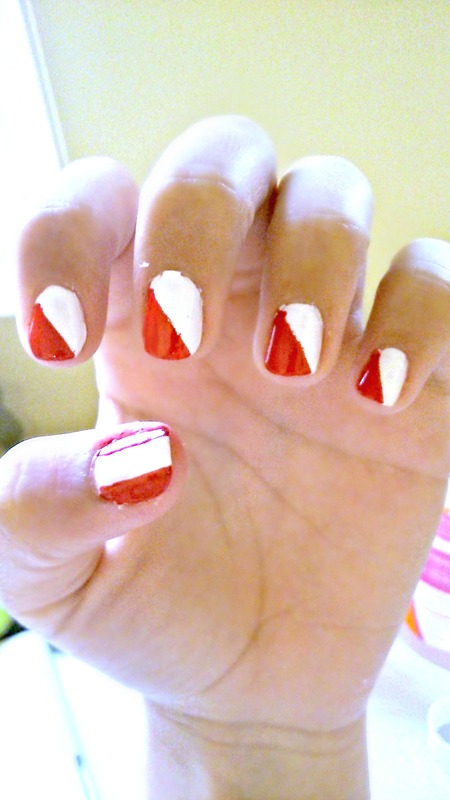 There you have it, Canada Day Nails!